Gorgeous orchid color ice skating dress! The bodice is exquisitely detailed with rouching at the side, and delicate mesh drapes on the bust and hip. Suntan mesh neckline makes this strapless looking dress appear to be held up only by its flowing, flutter sleeves. 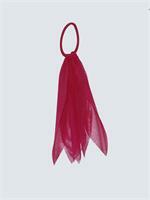 Beautiful flowing skirt is two layers of orchid mesh. Dress has been ornately decorated with clusters of crystals on the rouching, drapes, and flutter sleeves. Crystal colors are a mix of AB, fuchsia AB, and vitrail light, which gives this dress a beautiful pink glow. Bodice and skirt are covered with a light scatter of vitrail light crystals. Dress has over 850 crystals. Only one dress available as shown in size Adult Medium. Ice Collection dresses usually ship next business day. Please know your Revella Skatewear size. Please contact us with any questions. 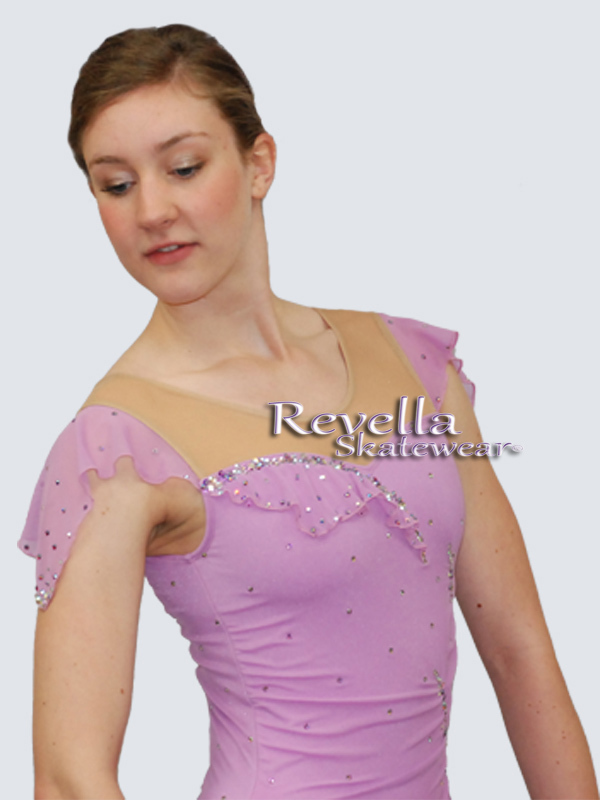 Revella Skatewear ice skating dresses give you quality at affordable prices.